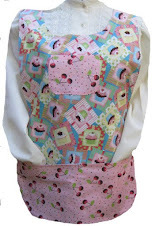 These two aprons are the latest custom embroidered aprons. 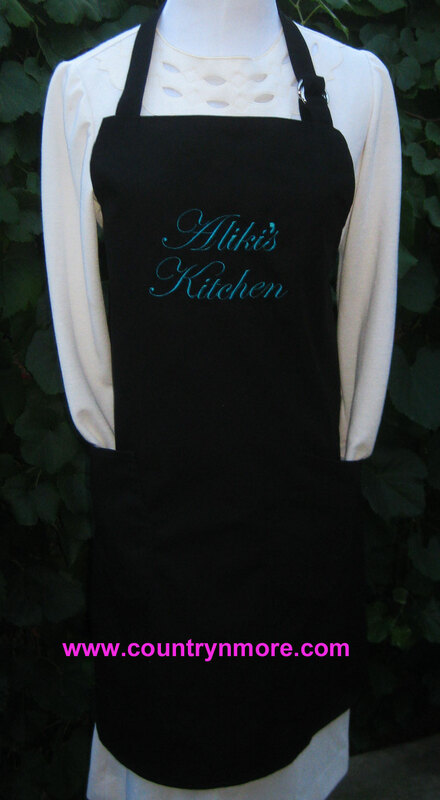 Aliki's Kitchen was done in a teal blue thread. It looks beautiful against the black bbq apron. Nikki Cooks was done in a bright yellow thread. These turned out so beautiful. The ties are nice and long.